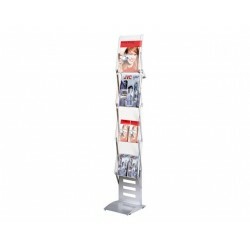 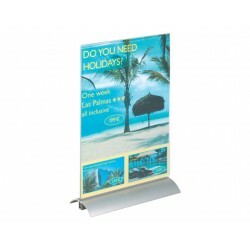 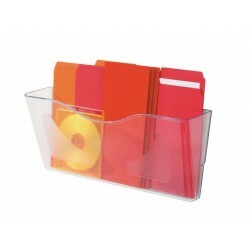 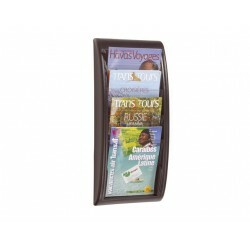 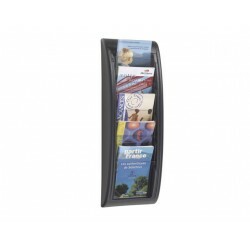 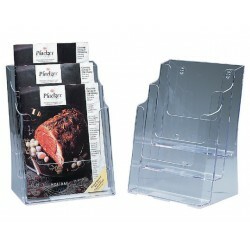 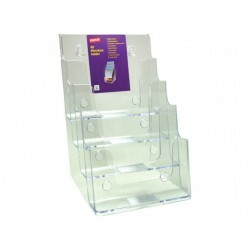 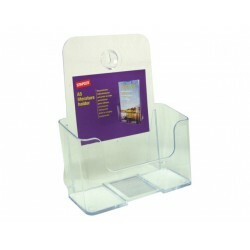 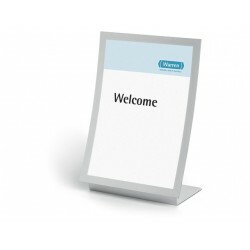 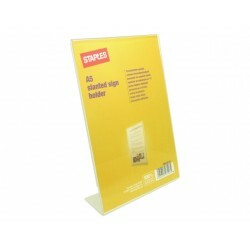 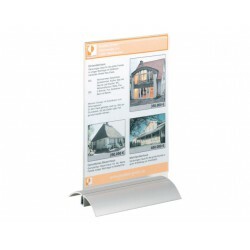 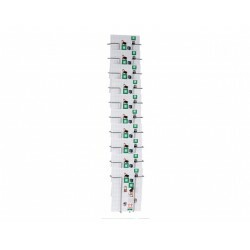 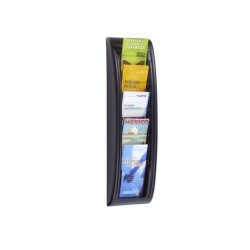 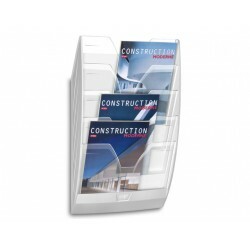 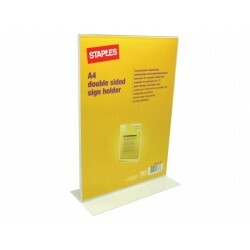 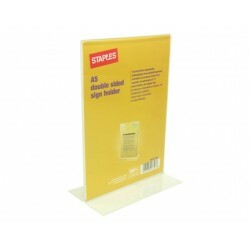 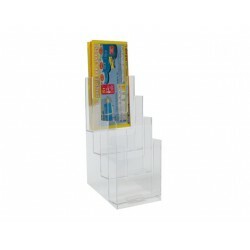 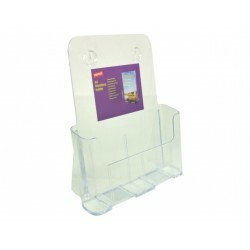 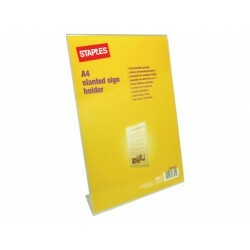 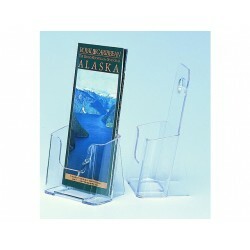 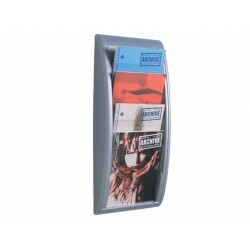 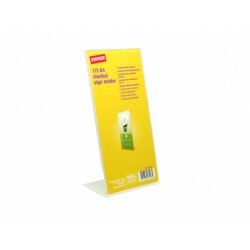 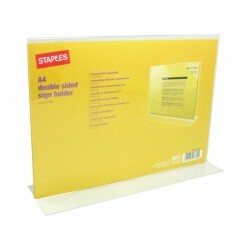 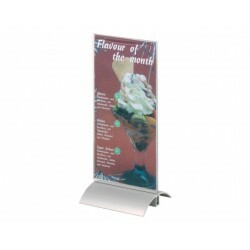 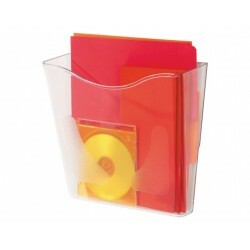 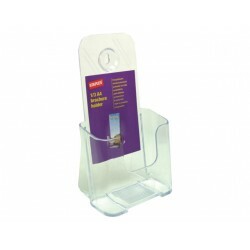 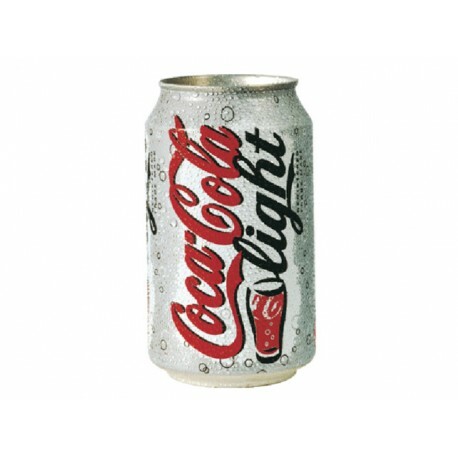 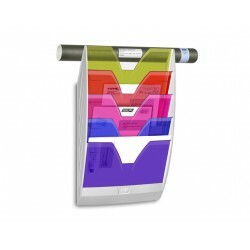 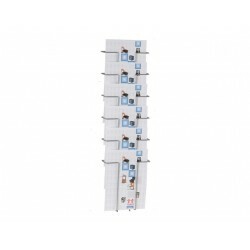 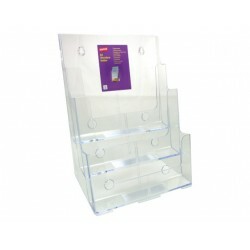 Sturdy literature holder with metal structure coated with scratch-resistant and anti-corrosion plastic. 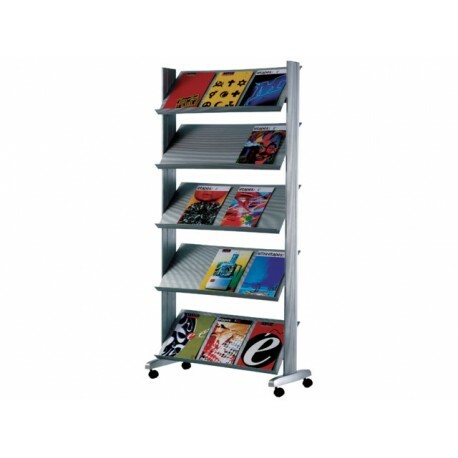 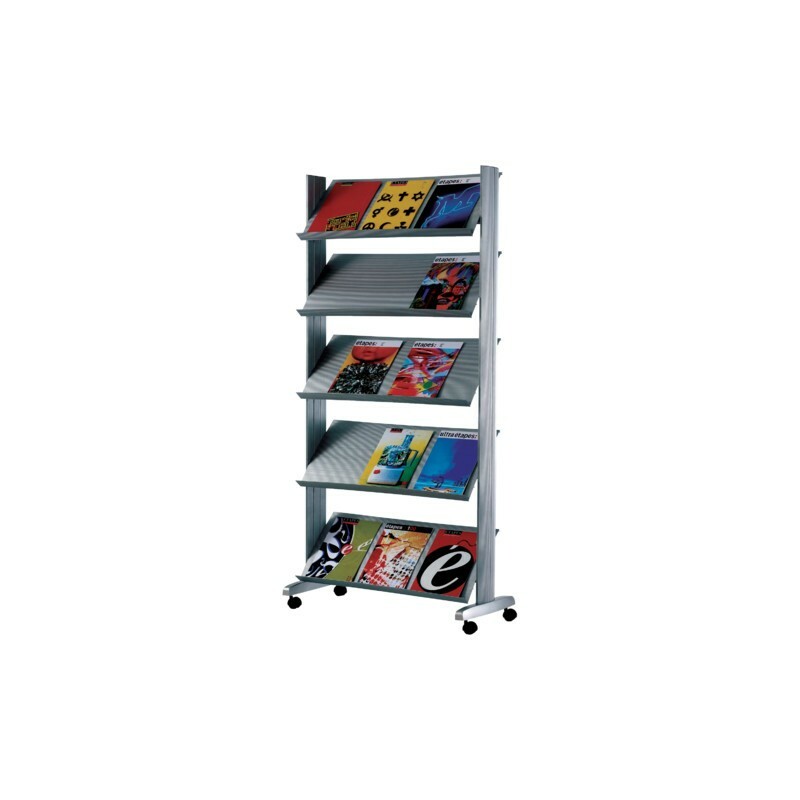 With 5 tiers and casters.|Documents are highly visible.|Dimensions: (LxHxD) cm 35x38, 2x165. 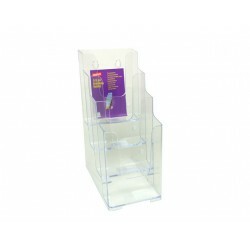 Tier dimensions: cm 27.5x33.